A sophisticated and completely renovated waterfront home on a quiet canal with easy access to the Gulf of Mexico. The aerial view of this home, situated on canal waters of Siesta Key. Completely renovated in recent years, including seawall and sunning desk. 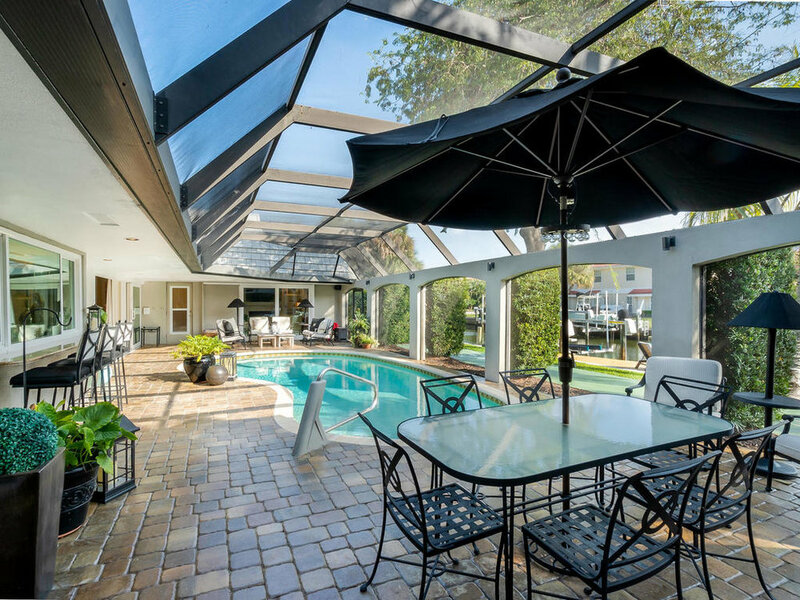 The serene scene on the lanai includes room for entertaining, bar seating, and the sparkling waterfront pool. A peaceful master suite is bright thanks to large bay window and features a beautiful tone-on-tone ensuite bath as well as a customized walk-in closet with motion-detected lighting. Sleek built-ins and open shelving provide storage and display space in the dining area. A third bedroom presently functions as a den, with built-in shelving, gas fireplace, and walk-out to pool. For more information, have a look at mls #a4427616.